Intel just revealed it’s 8th generation processors yesterday, but in doing so it may have teased a new Surface PC. A promo video for the new chips shoes off a device that looks a whole lot like a stealthy black Surface Book. The Surface Book is traditionally only available in grey and comes with 6th generation chips. 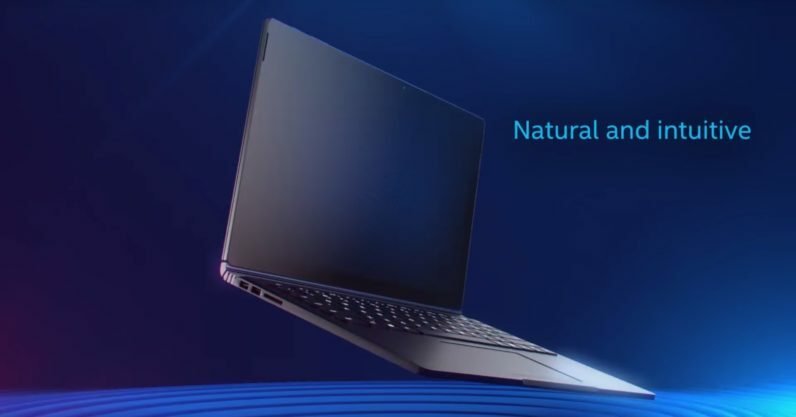 It’s weird choice to use an an existing laptop design – particularly one as unique as the Surface Book – and then change the color for a promo video. Why not just use the existing design or a generic render instead? Granted, it’s not a stretch to imagine the Surface Book will get updated this year. It was launched in late 2015 using 6th gen processors, and aside from adding a more powerful graphics card in 2016, it’s remained largely unchanged. As competitors have gotten smaller and more powerful, an update is due. Still, I wouldn’t get my hopes up that this particular render is it. Microsoft hasn’t made a black PC since the Surface Pro 2, and color aside, the chassis seems to be identical to the current Surface Book. That’s most notable in the keyboard. The new Surface Pro and Laptop have display brightness buttons on the keyboard. The older Surface Book – and the model in this promo video – do not. We’ve reached out to Microsoft for comment, but don’t expect a confirmation. Chances are it’s just a render, but a man can dream.